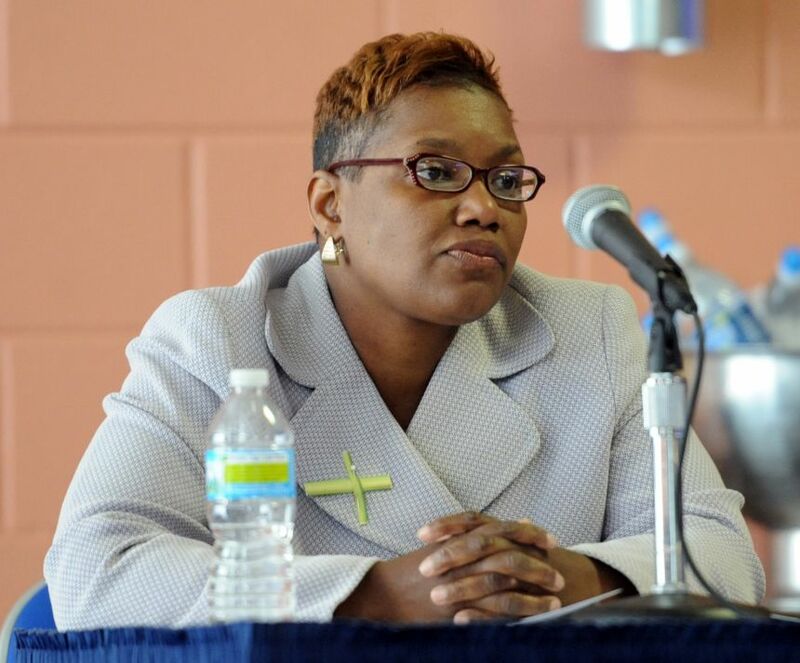 Gary Mayor Karen Freeman-Wilson to join conference panel on "Indiana and the World "
When Karen Freeman-Wilson was elected in 2011, she became Gary, Indiana’s first female mayor. At the same time, she became the first African-American woman in any Indiana city to ever hold the top office. Now in her second term, the mayor, who has also held senior positions at the state and national levels, will join a panel of Indiana leaders at the third annual America’s Role in the World conference at the School of Global and International Studies later this month. Reprising the topic of one of last year’s most popular panels, business and education leaders from Indiana will join Gary’s top official in examining how the state participates in the global economy and interacts with global trends. “Indiana and the World” will cap two days of foreign policy discussion at the school March 28 and 29. Steel tariffs have made headlines lately, but the implications of international trade regulation – among other global forces – on the state are not a new consideration for the mayor of a city that was once an industrial powerhouse. Founded in the early twentieth century on the Lake Michigan shore, Gary – once known as “The Magic City” and “The Eighth Wonder of the World” – became home to the world’s largest integrated steel mill. Gary’s fortunes rose with those of U.S. Steel, which became one of the country’s principal suppliers by the end of World War II, attracting immigrant workers from southern Europe and African-Americans from the South. By the 1960s, however, the increasingly globalized production of steel began to hobble the Indiana-based industry. Gary’s 19th mayor, Freeman-Wilson continues to grapple with the financial turmoil steel’s vagaries have wreaked on the city over the decades. The Gary native was the valedictorian of her class at Roosevelt High School before going on to earn degrees from Harvard College and Harvard Law School. Her public service includes leadership at the national level, as CEO of the National Association of Drug Court Professionals and Executive Director of the National Drug Court Institute. Freeman-Wilson continued to shape national drug policy in consultation with the Office of National Drug Control Policy, the Department of Justice and the National Highway Traffic Safety Administration. She has served the state as Attorney General, Executive Director of the Indiana Civil Rights Commission, and judge. Freeman-Wilson will join other Indiana stakeholders to consider the state within the global context Thursday, March 29 from 2:30 to 3:45 pm in the GISB auditorium. “Indiana and the World” features James T. Morris, Vice Chairman, Pacers Sports & Entertainment; Trustee, Indiana University Board of Trustees; and Jamie Merisotis, President & CEO, Lumina Foundation. The panel will be introduced by Indiana University President Michael A. McRobbie and moderated by IU Provost and Executive Vice President Lauren Robel. Co-convened by Distinguished Scholars Senator Richard Lugar and Representative Lee Hamilton, America’s Role in the World is the annual conference of the School of Global and International Studies. More information about speakers, schedule, and free registration is available here.